Brazil has successfully gone through the group stages by clinching the first place in Group A, after earning a total of 7 points out of the 3 games they’ve played. The hosts’ main player was, as expected, Neymar Jr, who already scored 4 goals in this World Cup and has been carrying the team on his shoulders. Earlier today, the new came out that the Barcelona player will try out a new pair of Nike boots in the upcoming game between Brazil and Chile, which is already scheduled for next Saturday (June 28). The two teams will clash at the Estádio Mineirão in Belo Horizonte, in what will be the first game from this World Cup’s last-16 round stage. 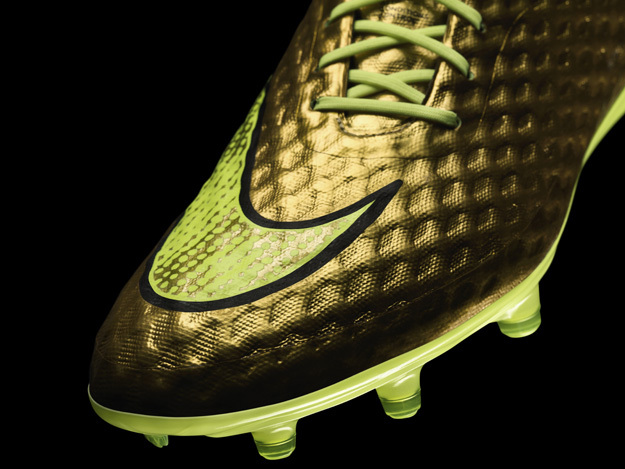 The boots model are actually very similar to what Neymar have already been playing with thus far, since the big change will reside on their new color being in golden tone. 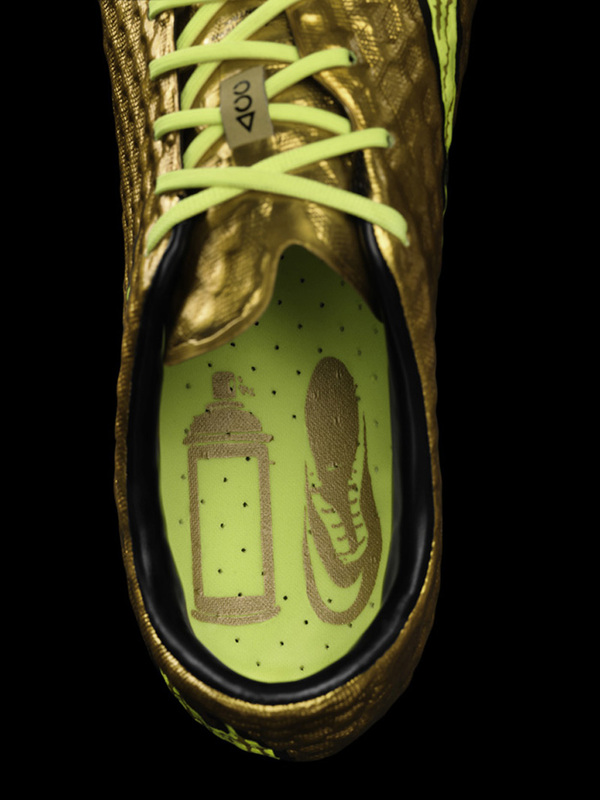 This new “Nike Hypervenom” footall boots model has been specially designed for Neymar, who according to ESPN used to spray his own boots in this color when he was a child. Nike‘s director of design, Denis Dekovic, has also stated that the company has worked very closely with Neymar to come up with these highly tailored football boots and that they’re very happy with the result. 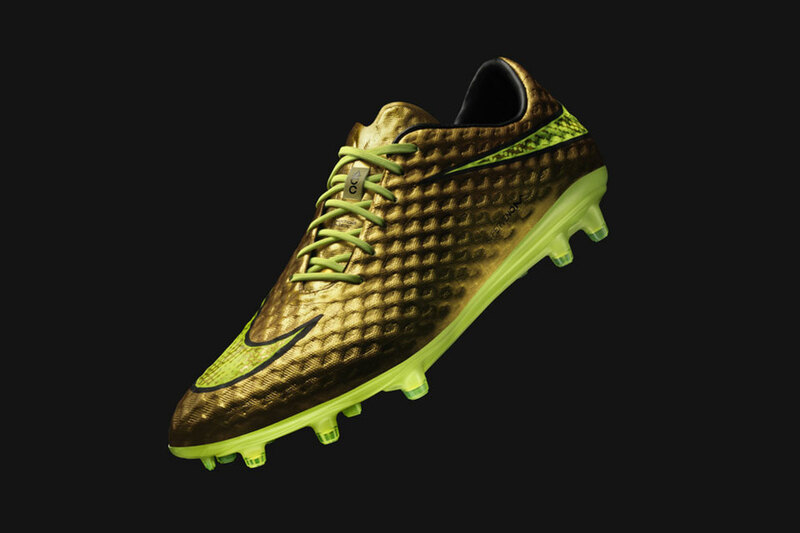 Denis Dekovic: “It was a big challenge to find the perfect golden tone to match these boots design, but thanks to our deep collaboration with Neymar the result was great. 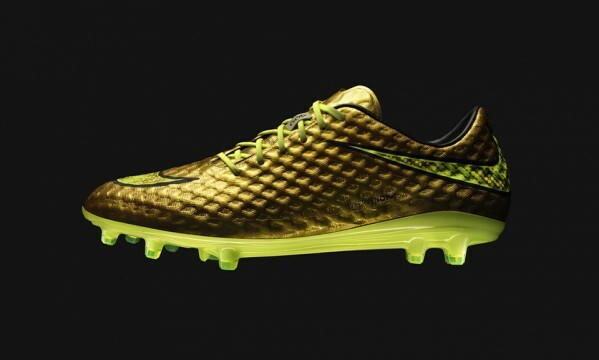 We can’t wait to see them in action next Saturday in Brazil vs Chile”, noted Nike‘s director of design.